Diego and Sebastian Juncadella are catching nice cero mackerel. These are one of the best eating fish. Much better than Spanish mackerel. Can't catch them all - whole! 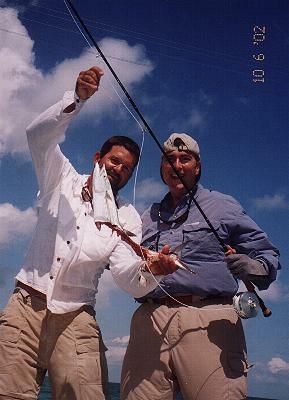 Jose Jucadella caught about 6 ceros on fly before the tarpon showed up. 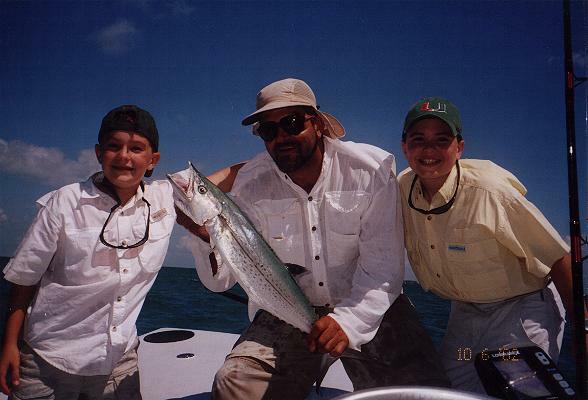 They all caught their "first tarpon on fly" that day in the fall, along with several tarpon on spin. 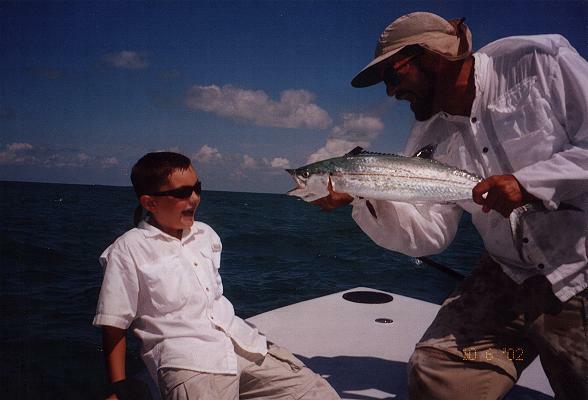 These tarpon are generally small: 15 - 30 lbs., but you can catch a 50 to +100 lbs. tarpon. 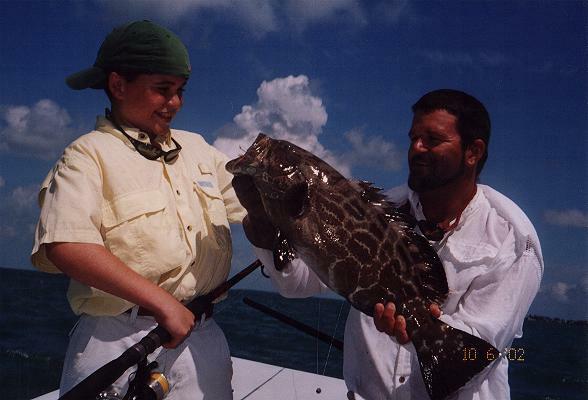 Sebastian Juncadella with a nice keeper black grouper at the bridge. 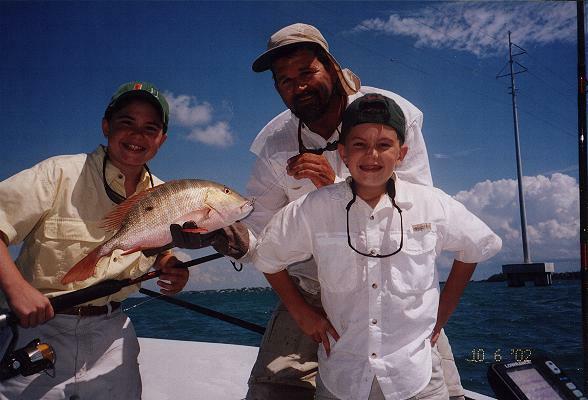 Seb catches a nice inshore mutton snapper, with half a tail.